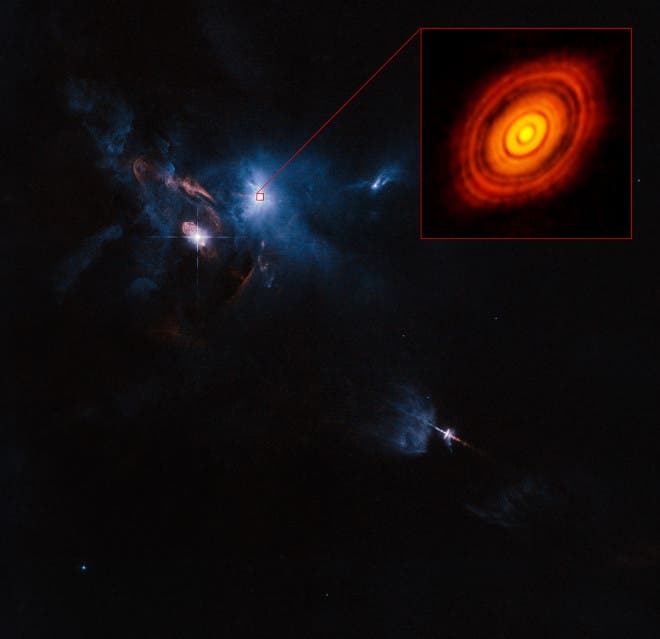 Some 450 light-years away in the constellation Taurus, a new planet is being born and astronomers using the Atacama Large Millimeter/submillimeter Array (ALMA) in Chile were there to capture the moment. 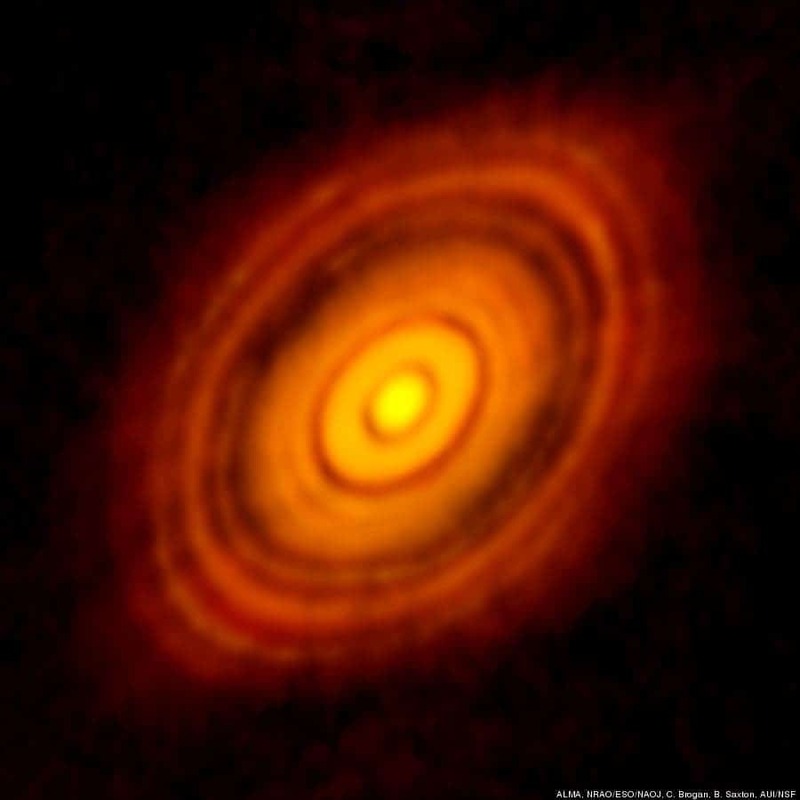 It’s the most detailed picture documenting a planetary-forming system. When NASA or other agencies release pictures like these, they’re usually simulations or visual renditions of computer models. The most beautiful are actually artist made illustrations. This image, however, is the real deal. More specifically, it features the star HL Tau surrounded by an envelope of gas and dust called an accretion disk. See those gaps in the image? This is where new planets will be formed, as gas and dust are cleared from their orbit. In the past half-decade, we’ve learned about thousands of planets throughout the galaxy, but we still don’t really know what turns young, spinning baby stars into stable solar systems. In fact, there are multiple theories that try to explain how planets form. The most accepted of these says that the enormous discs that surround baby stars collide and accrete into planet-sized objects. The matter inside the rapidly spinning disk around the parent star starts to gather and form clumps, steadily accumulating until these turn into asteroids, comets, planets and moons. As these get bigger, the objects plow through the accretion disk which is why we see gaps in this latest picture reported by ALMA. See an artist’s animation below to learn more about planet formation.